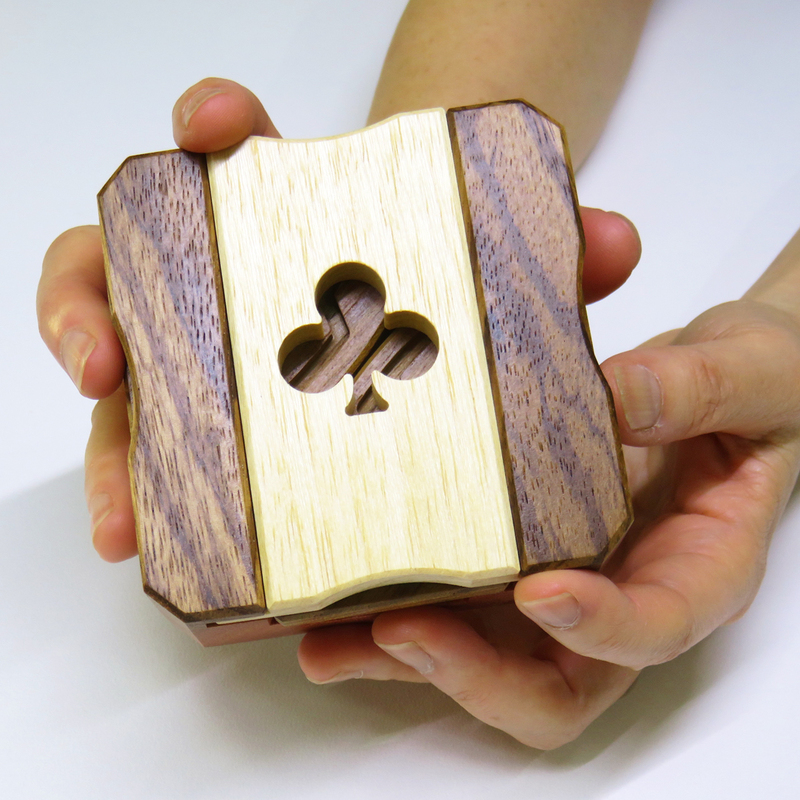 We have started selling Juno's third secret box puzzle "Club Case." This puzzle is the second puzzle in the trump cards series which follows "Diamond Case." 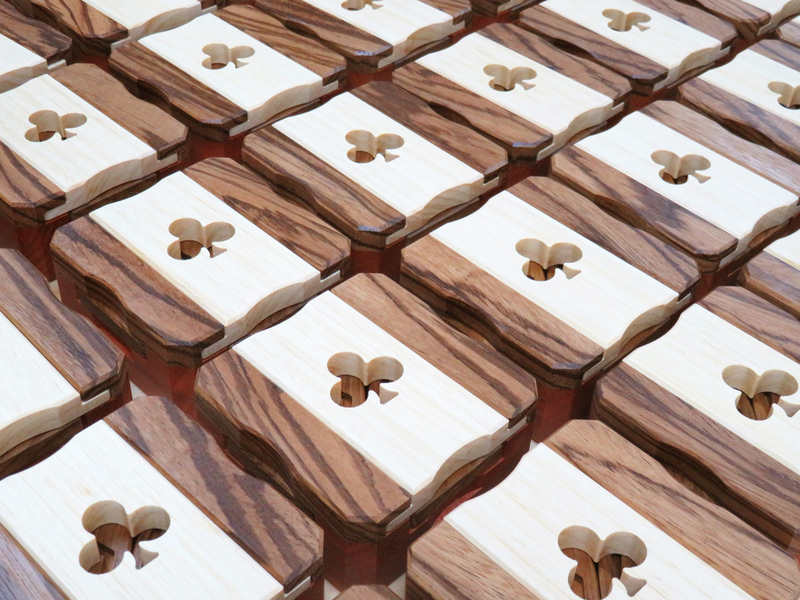 Juno used four different timbers for the puzzle; Karri, Koto, Burmese Teak and Zebrano. 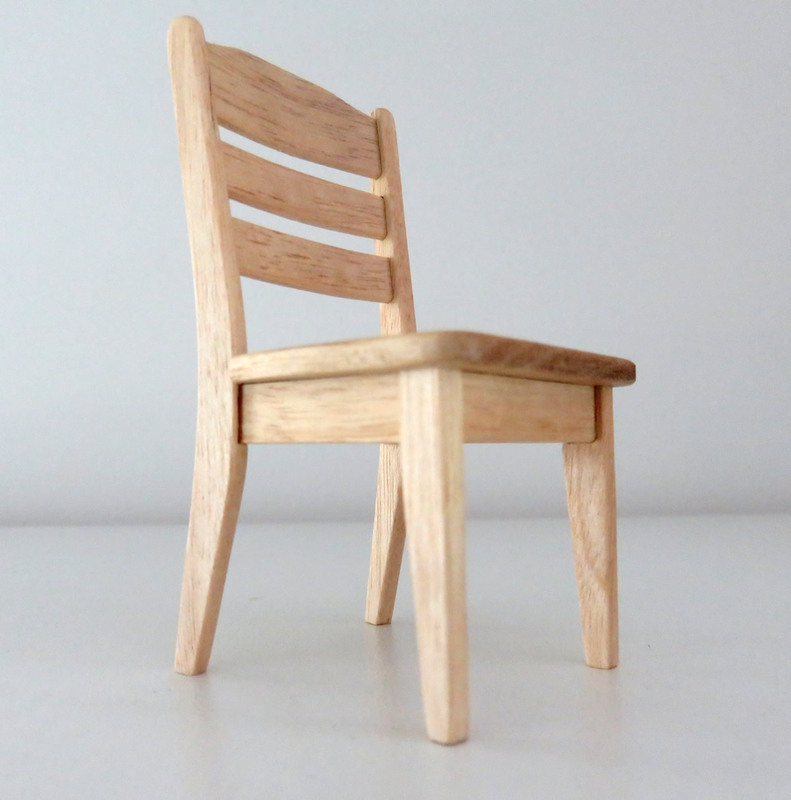 He chose the timber in consideration of the grainy woody texture and strength and used them for appropriate purposes. There is a trump cards' club-shaped hole on the lid. A trick of the puzzle is partially visible through the hole. Juno thought that it's more fun to see tricks through the hole rather than a completely black box. Seeing a little hint makes you more curious and amused, you know? 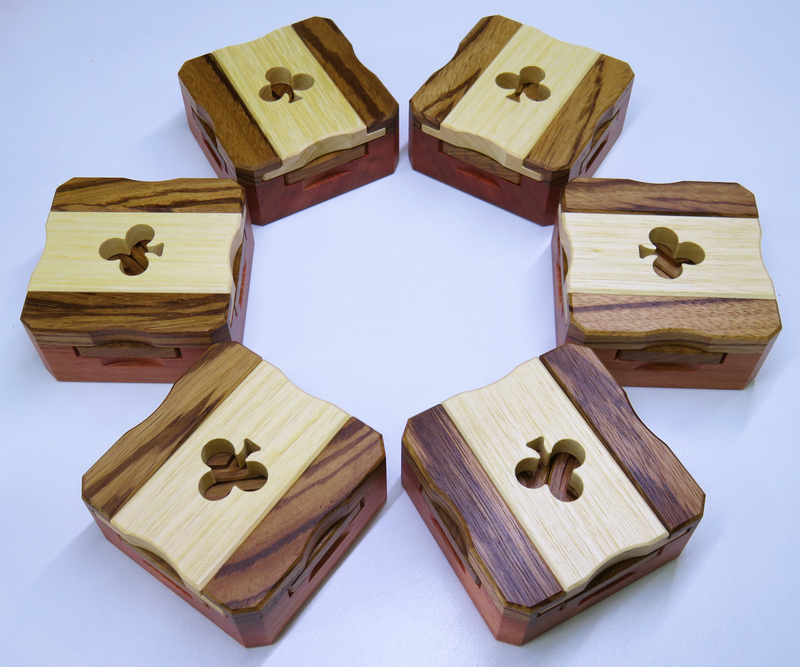 The movement of the pieces are a bit odd and interesting, so we hope you will feel the novelty of playing with "Club Case." While he was making the puzzle, the CNC router gave an outstanding performance. 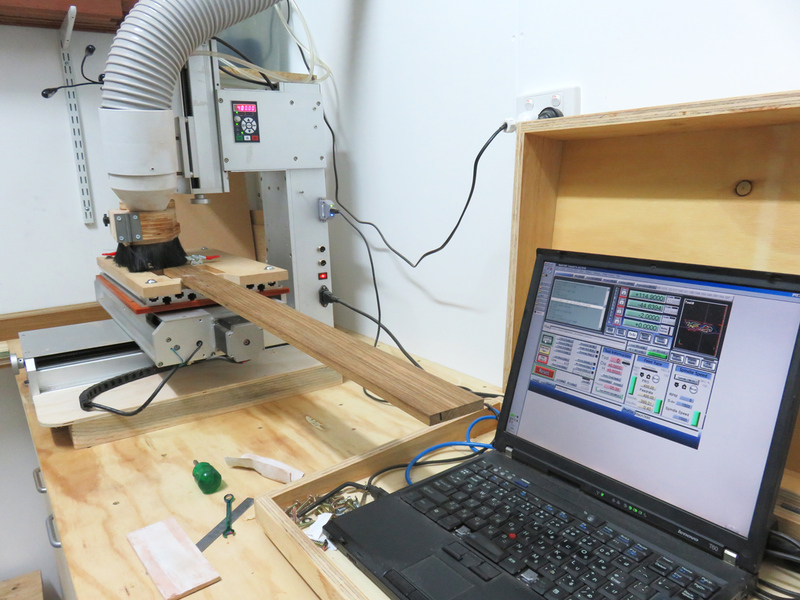 He had to run the CNC router for about one hour and a half for making one puzzle. Juno expected that if he could use the CNC router for time-consuming work, he would have made puzzles a lot easier, but actually, he had to spend lots of time for careful finishing work with his hands. Therefore, "Club Case" is finely made and looks gorgeous. "Club Case" is one size bigger than "Diamond Case" and the inside of the room of the puzzle is bigger than "Diamond Case." The shape of the compartment is ellipse, 72 mm major axis, 44 mm minor axis and the depth is 15 mm. You can keep small accessories like earrings in the puzzle. My impression of playing with this puzzle; the hole of the lid stimulates my interest and it looked like giving me some hints to solve but I couldn't solve them. In short, I would say "Club Case" is not so easy as it looks but I like the design of the club-shaped hole. Well, what do you think? 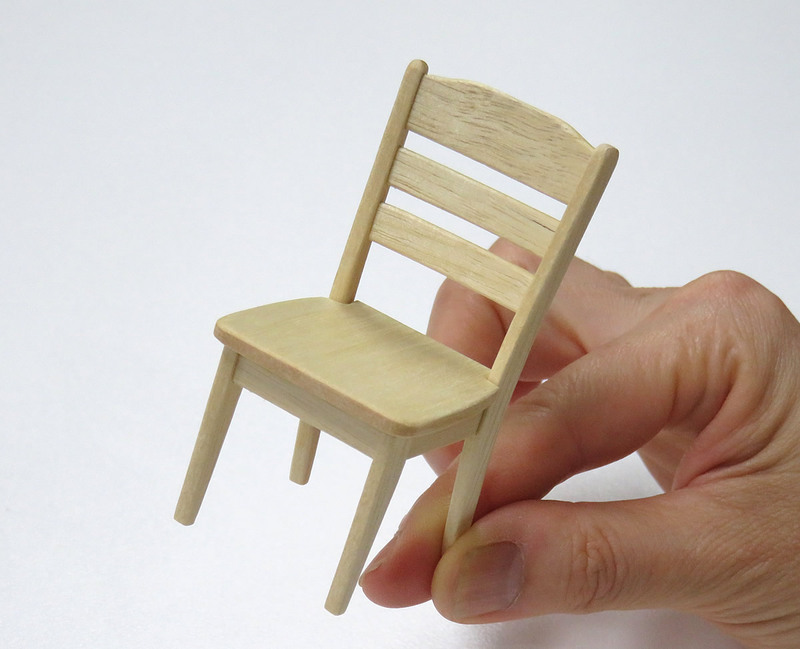 Dear puzzle lovers, today's topic is about miniature furniture. Sorry for not writing about puzzles. 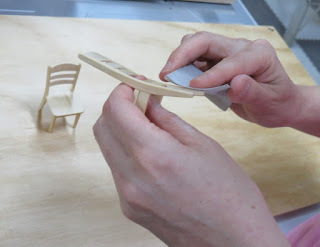 As I wrote on the blog on 27th of February, I have made several 1/12 scale miniature furniture and I had stopped making them for a while, but restarted it again recently. I have got some timber called Silver Ash this time. Silver Ash belongs to the citrus family tree, and grows from Northern NSW to north Queensland. If you are the reader of this blog, you may know this timber, Juno uses Silver Ash for his puzzles. 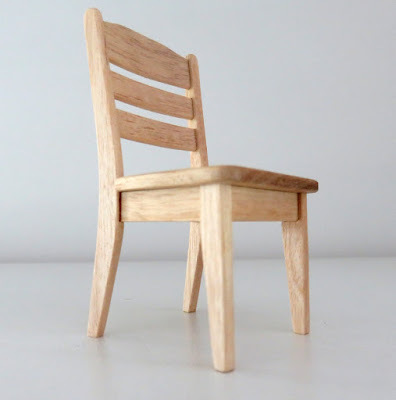 I have made several chairs and tables using Silver Ash and decided to sell them on Etsy (PluredroAnnex). If you are interested in miniatures, please take a look. 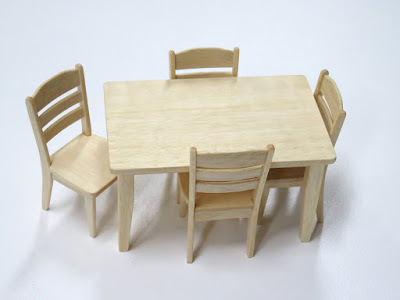 Currently, the stock is only two dining table sets but I'm going to add them on Etsy little by little.